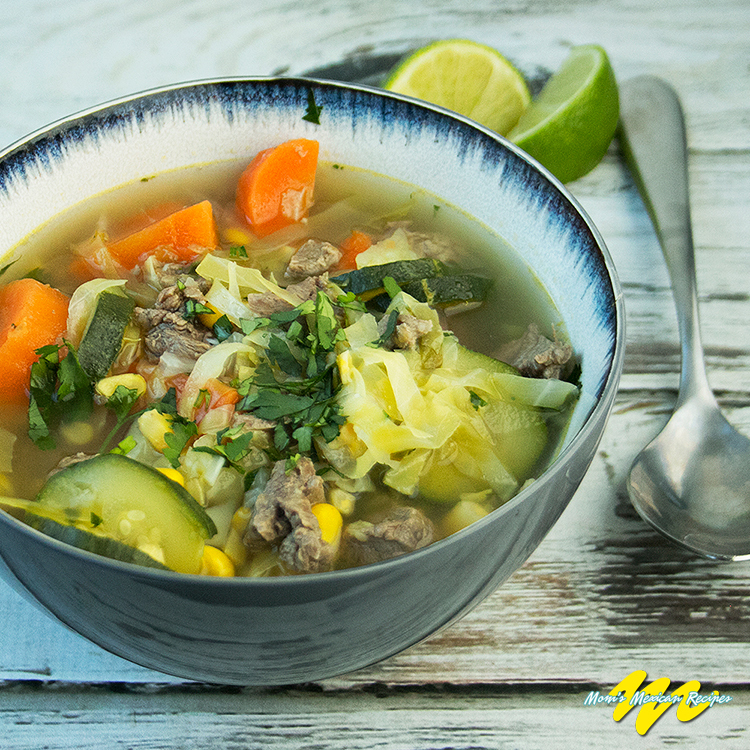 Cocido Recipe, also known as Mexican Beef Soup, is a colorful and hearty beef and vegetable soup.The Cocido Soup is a common dish in all parts of Mexico and in every season.The recipe presented here is easy to prepare and following the instructions will result in a hearty and delicious meal in one, with crisp, tender vegetables and meat.The Cocido Soup Recipe can be accompanied by the delicious Mexican Rice, fresh salsas, and the traditional Homemade Corn Tortillas. 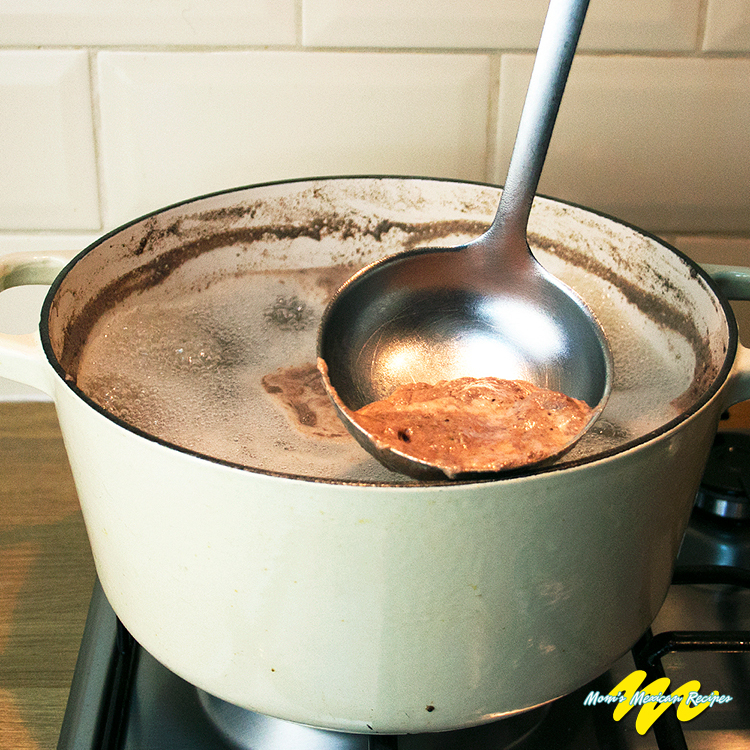 Begin to cook the meat in a pot of water. At boiling point skim the impurities from the surface as appropriate. Reduce the heat and cook until the meat is tender, which takes about 2 hours. 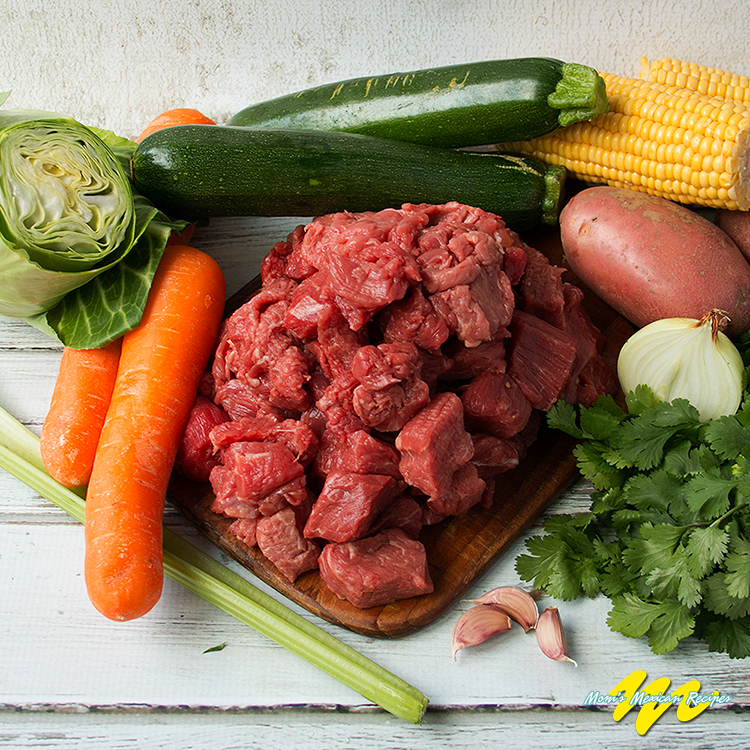 Add salt to taste, then add the potatoes, corn, carrot, cabbage and celery and continue cooking for 15 to 20 minutes. Add zucchini and cook just long enough until the vegetables are tender-crisp. Before removing from flame add the cilantro leaves. Vegetables and Herbs must always be fresh, as this maintains the quality of flavor. Wash the fruit with a brush or sponge, then disinfect for 15 minutes. Rinse and let them air out for a while before applying them to the recipe. I’ll cut the veggies into smaller chunks. Oh my goodness. This was delicious! I have been ordering Cocida from some Mexican restaurants in town this past week because I was sick. This was dead on! I used short ribs, because this is what the restaurants used. Thank you so much!